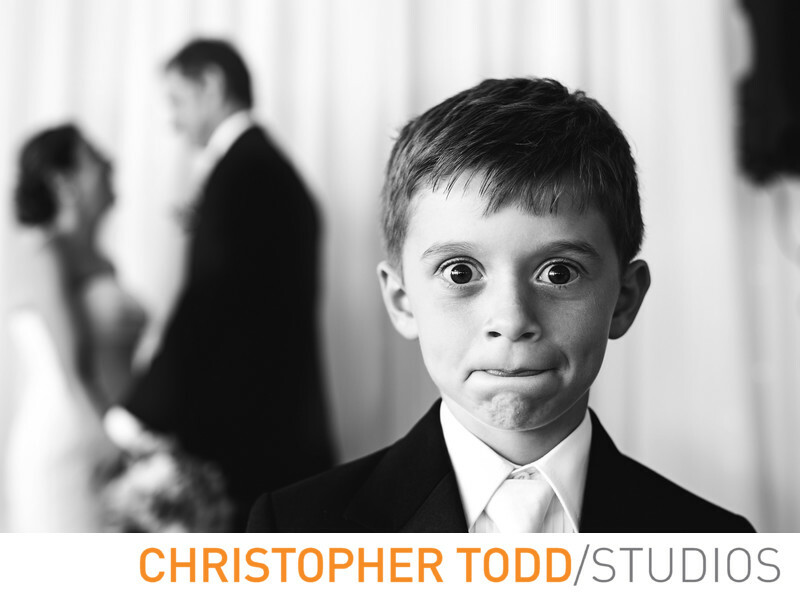 This portrait of the bride's son is so animated. I love the face that he made for this photo. The bride and groom are in the background slightly blurred at Malibu West Beach Club before the ceremony. Location: 30756 Pacific Coast Hwy, Malibu, CA 90265. 1/100; f/2.8; ISO 160; 50.0 mm.